During the late 18th and early 19th centuries, there was a tubercular 'moment' in which perceptions of the consumptive disease became inextricably tied to contemporary concepts of beauty, playing out in the clothing fashions of the day. With the ravages of the illness widely regarded as conferring beauty on the sufferer, it became commonplace to regard tuberculosis as a positive affliction, one to be emulated in both beauty practices and dress. While medical writers of the time believed that the fashionable way of life of many women actually rendered them susceptible to the disease, Carolyn A. Day investigates the deliberate and widespread flouting of admonitions against these fashion practices in the pursuit of beauty. 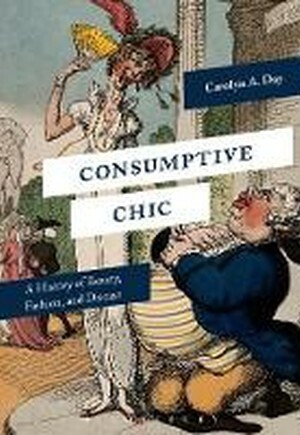 Through an exploration of contemporary social trends and medical advice revealed in medical writing, literature and personal papers, Consumptive Chic uncovers the intimate relationship between fashionable women's clothing, and medical understandings of the illness. Illustrated with over 40 full color fashion plates, caricatures, medical images, and photographs of original garments, this is a compelling story of the intimate relationship between the body, beauty, and disease - and the rise of 'tubercular chic'.